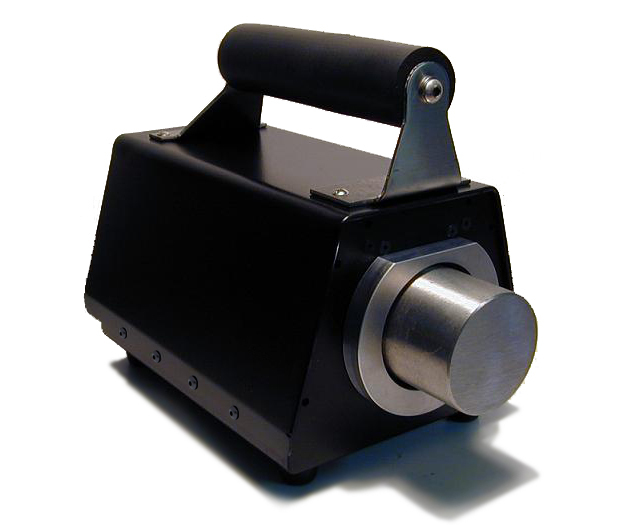 ROSPEC SSS Probe - Simple Scintillation Spectrometer - Bubble Technology Industries Inc. The Simple Scintillation Spectrometer (SSS) is a neutron spectrometer intended to complement the spectral range of BTI’s ROSPEC system, allowing measurements from 4 to 16 MeV. 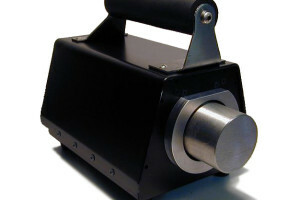 The SSS detector is an array of small plastic scintillators coupled to a photomultiplier tube. 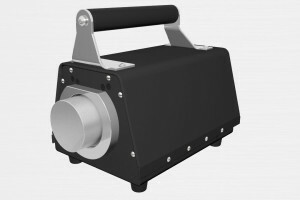 The dimensions of these scintillators are selected to optimize the neutron response functions of the detector while at the same time minimizing the sensitivity to gamma radiation. The SSS consists of two parts: a probe containing the neutron detector and its photomultiplier, light pulser, and high voltage supply; and an analyzer module which includes a shaping amplifier, analog-to-digital converter, display, keyboard, and system power supply. Like ROSPEC, the SSS produces raw data which is, to a first approximation, the integral of the neutron spectrum. This data is input to the standard ROSPEC program to generate accurate neutron spectra and dosimetry up to 16 MeV.